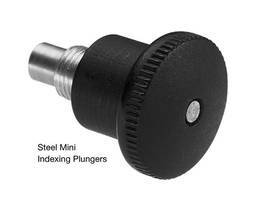 Mini Indexing Plungers feature 6 lock-in and lock-out positions. 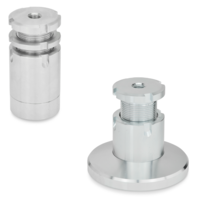 Designed for installation in thin walled sheet metal, GN 822.1 Steel Mini Indexing Plungers offer lockout position for applications that require plunger pin to be retracted for extended period of time. They are made of zinc-plated, blue passivated steel, with stainless steel plunger and spring, and non-removable knob of matte black glass fiber reinforced nylon plastic. 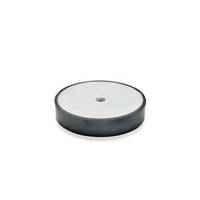 Offered in metric sizes and in compact dimensions, plungers are RoHS compliant. NEW BERLIN, WI - J.W. Winco, Inc., a leading supplier of standard industrial machine components, announced it now offers series GN 822.1 Steel Mini Indexing Plungers. 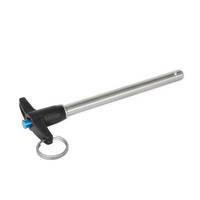 These indexing plungers feature six lock-in and lock-out positions. They are made of zinc-plated, blue passivated steel, with stainless steel plunger and spring, and a knob of matte black glass fiber reinforced nylon plastic, not removable. 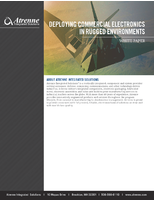 Offered in metric sizes, they are RoHS compliant. 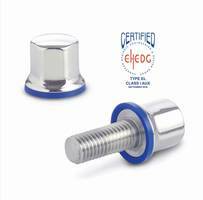 These indexing plungers feature small, compact dimensions, and are designed for installation in thin walled sheet metal applications. 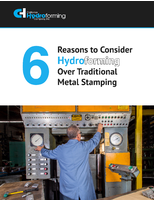 They offer a lockout position for applications that require the plunger pin to be retracted for an extended period of time. 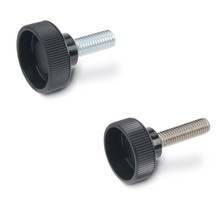 Plungers are inserted into position by holding them by the knurled knob. 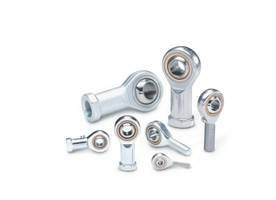 The wrench flats on the lock nut are exposed when the pin is retracted, so that the plunger can be easily tightened by means of an open end wrench.